Conceived through more than a decade and a half of counseling, the visualizations on this 3 CD set, have helped thousands of women give birth to healthy babies, often after years of failed medical treatments. 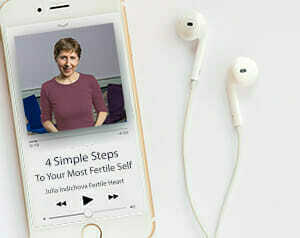 Most important, they were instrumental in turning the fertility challenges of the couples who engaged with this practice, into an opportunity to re-claim a fully fertile life regardless of circumstances. 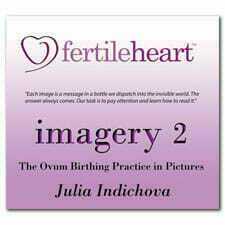 Building on the discussion, instructions, and the set of 18 sequences of the original Fertile Heart™ Imagery CD, it features 34 carefully constructed imaginal remedies. Separating the inner pictures that serve you from the ones that impede the creative force, each sequence addresses specific emotional and physical obstacles. 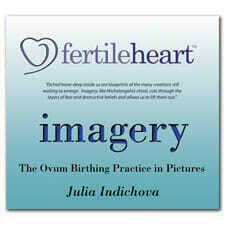 The Imagery practice supports you in Meeting Your Child Halfway—an image at a time. 3-CD Set or digital download. I had agonized for months trying to decide if I should move forward with IVF but something inside me kept saying it was not the right path to the point that it was even affecting me physically. So I walked away and decided to just trust. © Copyright Fertile Heart LLC 1997-2019. All rights reserved. 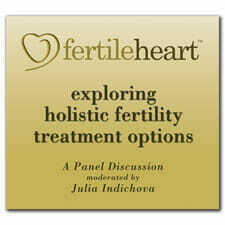 Fertile Heart, FertileHeart.com, OVUM, IBOW are trademarks of Julia Indichova. The alternative treatments discussed on this website or howmed are not intended to replace the advice of a health professional. They are shared with the understanding that each individual accepts full responsibility for her/his own well being.